and motor functions that were lost after brain irradiation. For patients with brain cancer, radiation treatment is a powerful and potentially life-saving treatment, but it can also cause considerable and even permanent injury to the brain. Now, through preclinical research conducted in rats, Memorial Sloan Kettering Cancer Center researchers have developed a new method to turn human embryonic stem cells into cells that are instructed to repair damage in the brain. Rats treated with the human cells regained cognitive and motor functions that were lost after brain irradiation. The study appeared in the February 5 issue of the journal Cell Stem Cell. 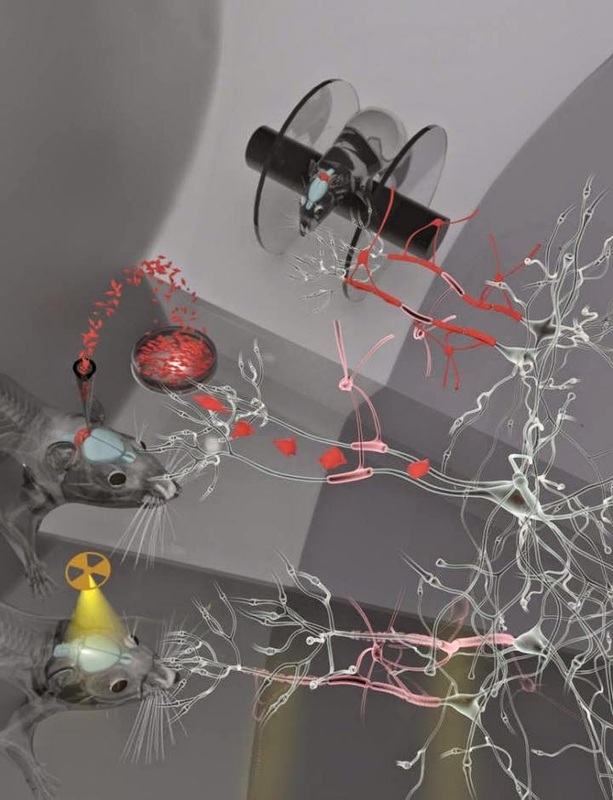 During radiation therapy for brain cancer, progenitor cells that later mature to produce the protective myelin coating around neurons are lost or significantly depleted, and there is no treatment available to restore them. These myelinating cells--called oligodendrocytes--are critical for shielding and repairing the brain's neurons throughout life. A team led by neurosurgeon Viviane Tabar, MD, and research associate Jinghua Piao, PhD, of the Memorial Sloan Kettering Cancer Center in New York City, wondered whether stem cells could be coaxed to replace these lost oligodendrocyte progenitor cells. They found that this could be achieved by growing stem cells--either human embryonic stem cells or induced pluripotent stem cells derived from skin biopsies--in the presence of certain growth factors and other molecules. Next, the investigators used the lab-grown oligodentrocyte progenitor cells to treat rats that had been exposed to brain irradiation. When the cells were injected into certain regions of the brain, brain repair was evident, and rats regained the cognitive and motor skills that they had lost due to radiation exposure. The treatment also appeared to be safe: none of the animals developed tumors or inappropriate cell types in the brain. "Being able to repair radiation damage could imply two important things: improving the quality of life of survivors and potentially expanding the therapeutic window of radiation. This will have to be proven further, but if we can repair the brain effectively, we could be bolder with our radiation dosing, within limits." said Dr. Tabar. This could be especially important in children, for whom physicians deliberately deliver lower radiation doses.